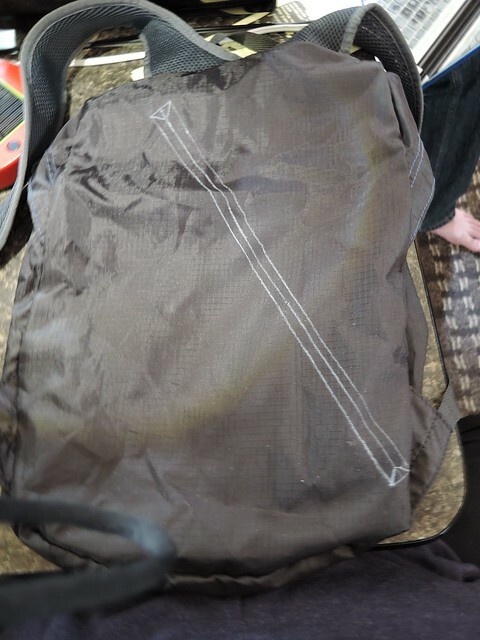 I haven’t been in Europe the whole time since my last post, although I easily could have spent more time there, but I did finish altering my backpack to make it more secure before leaving and now I’m here to show you how I did it. 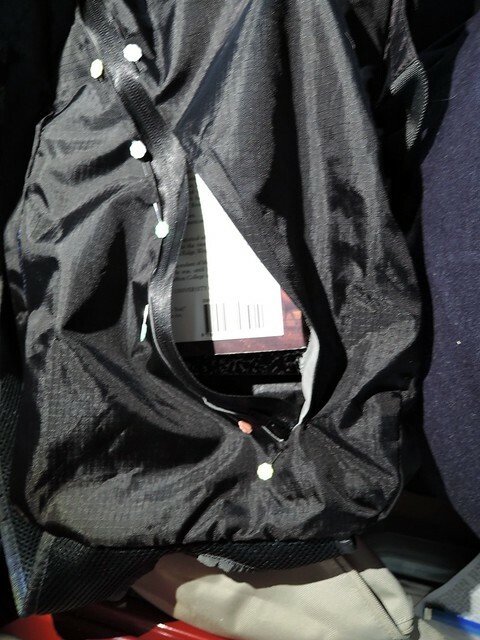 First, I looked at how my favorite leather bag was constructed and the proportions used for the zipper along the back. Then, I googled. I found this tutorial…well, no surprise I can’t find the tutorial months later…but there are many online. 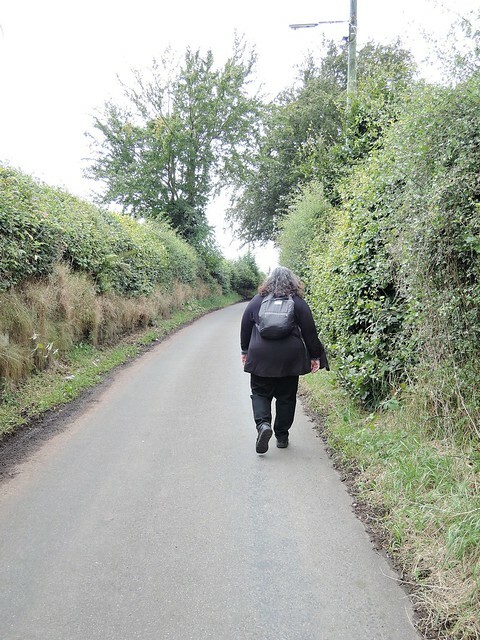 I used an Eagle Creek Daypack . (This is a newer version of the one I used.) 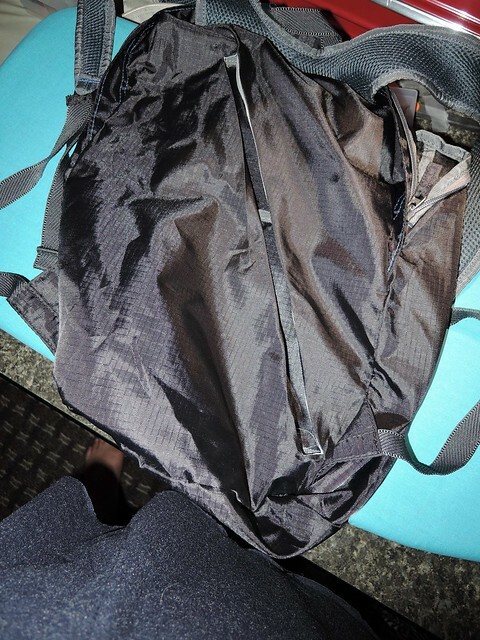 It’s very lightweight and easy to smash flat into the top of a suitcase, or more complicatedly, stuff it into its own front pocket. I also drew the cutting the line for the zipper down the center of my rectangle, and the “Y” cutting lines on each end. Place a piece of silk organza or other sheer but strong fabric on top of the zipper opening, cut a little bit larger than the 14″x1/2″ opening. Sew around the outer edge of your opening. Then, the scary part. Cut down the middle of the opening and snip to the corners where the “Y” is marked on both ends, then push the silk inside the pack through the opening and press. 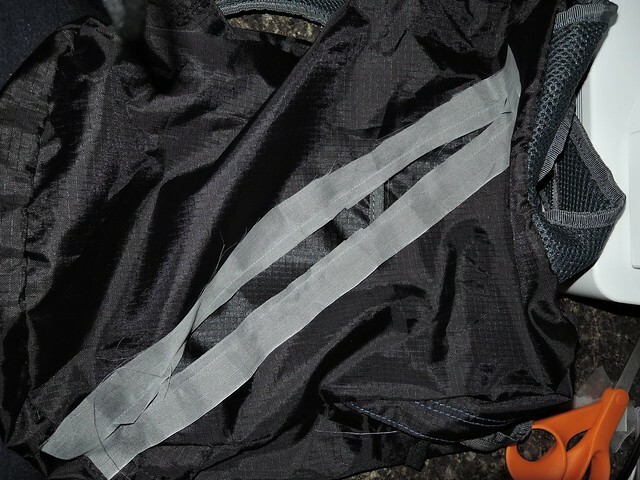 Pin the zipper to the opening and sew near the edge of the opening, moving the zipper pull as needed to accommodate the zipper foot of your machine. I used a water resistant zipper, just in case. Now, what about the front pocket? 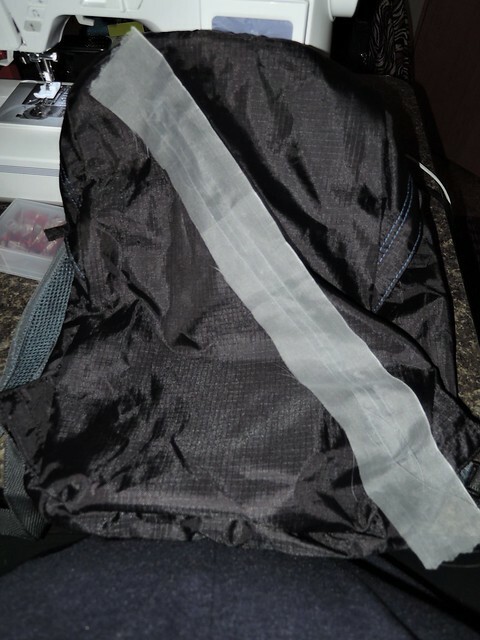 I closed the top zipper using a black wire tie and snipped off the tail. Worked beautifully. That’s it! I thought it would be harder than it was. This worked marvelously for my entire trip. I felt very secure the whole time. 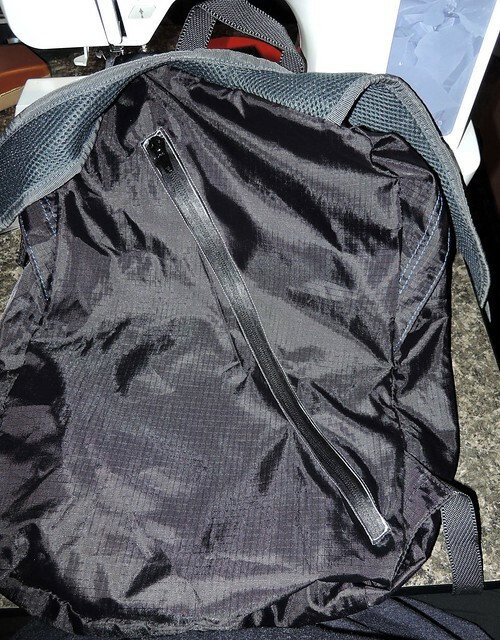 The backpack itself held up well except that after about two weeks of use, the seam at the top of one of the straps started to come open. I was dreading having to repair it over and over but I only sewed it up once and it held up for the rest of the trip. What a creative solution! 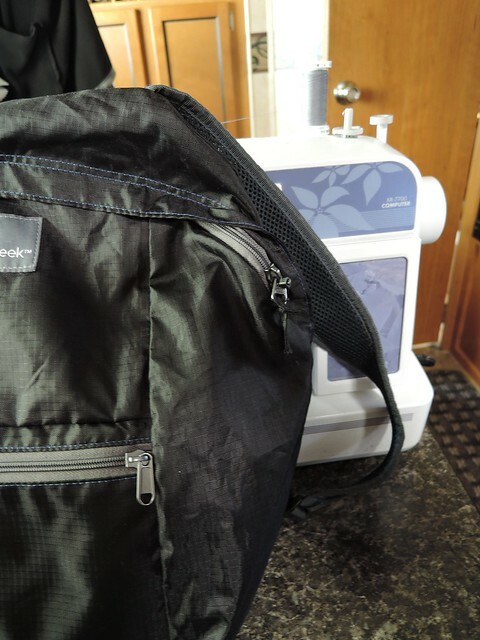 I love packing and travel bag hacks and this is a wonderful one. 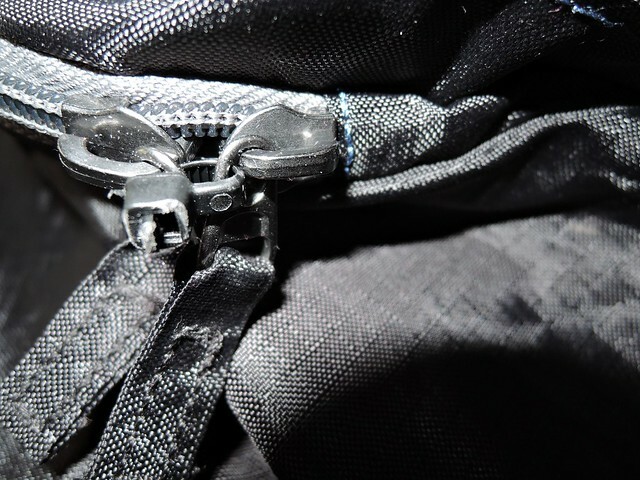 I use the small “locking” Nite-Ize carabiners on my backpack zippers and tote bag to thwart pickpockets. They are sold at outdoors stores. Check them out.